BBC East Tower Digital Replica, 2016. Distributable Digital 3D Model. 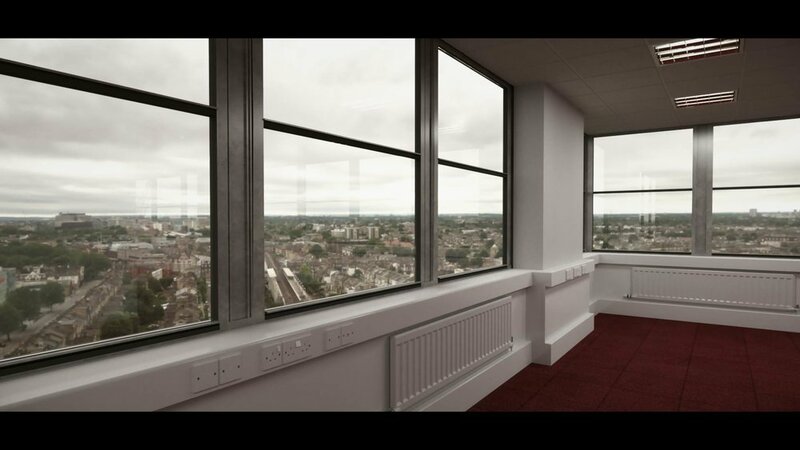 This freely downloadable 3D model is a replica of the East Tower, a condemned office block situated on the vast BBC Broadcasting House complex in West London. 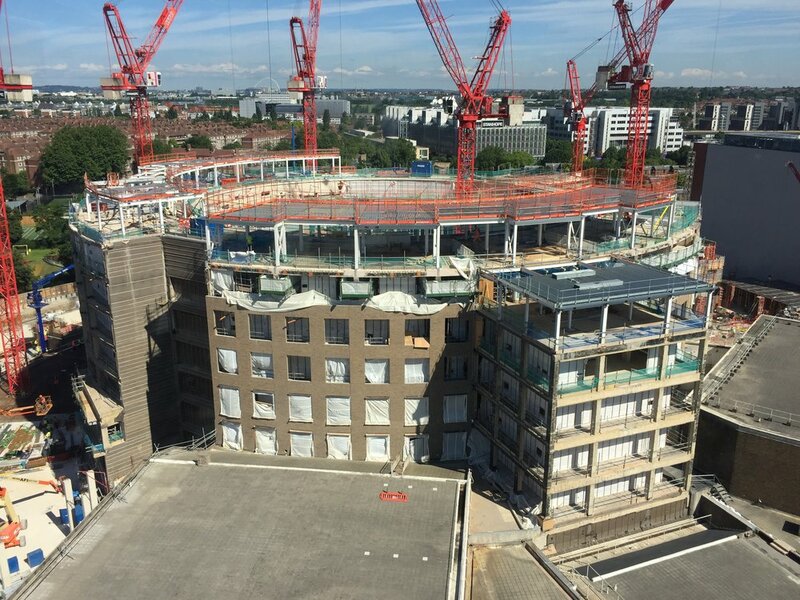 For 50 years this building has been home to programmers, creatives, presenters and producers, but in 2016 it will be demolished as part of the redevelopment of the BBC site. This replica restores the building to an ideal state, based on documentation of the site in mid-2016 as part of the White Noise artist residency. The model, constructed in Maya and rendered with Vray can be used for any purpose, with the hope that the real-life 20th century space continues to live on in 21st century digital animation, virtual reality, architecture, 3D printing and games. The tower consists of 11 unique floors constructed according to plans drawn up by the construction company Stanhope prior to demolition, and with detail supplemented by on-site research. Floors 6 - 11 were vacant during the artist residency and are therefore most fully realised. Other floors were inaccessible due to either asbestos or occupation and are therefore less exact. 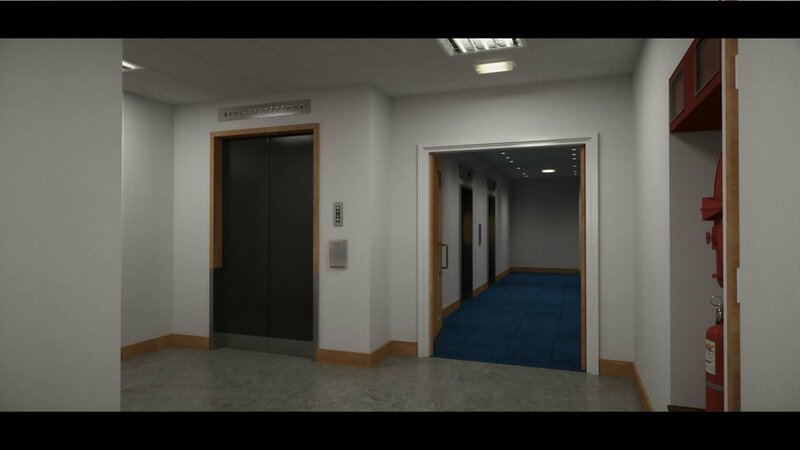 The model is 500MB and includes textures, lights, a low-res model of the wider site and an 360 degree HDRI taken from the 11th floor in July 2016. It is organised intuitively into groups, components and display layers for easy manipulation. Interiors are ready to be populated with furniture, or otherwise customised to your choosing. It is worth noting that the file contains hundreds of Vray lights: rendering all simultaneously will result in extremely slow renders. CAD layout reconstruction: Phill Banks.